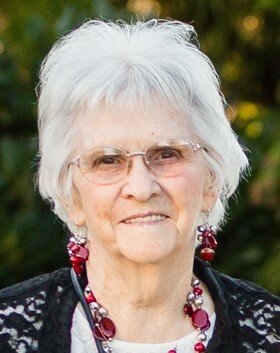 Nancy L. McNitt, 82, of New Brighton, passed away on August 8, 2018. Nancy was a lifelong resident of New Brighton and a 1953 graduate of New Brighton High School. She was the daughter of the late E.B. & Vera (Myers) McNitt. She was the mother of: Dean & Kathy Miller, Jr.; Scott & JoAnne Miller; Jeff Miller; Janet & Tom Postupac; the grandmother of: Ashley & Matt Welch; Eryn & James Wall; Valerie Miller; Daniel Miller; Cody Postupac; Karen Postupac; the great-grandmother of Brady Welch; the sister of Janet and George Churm; and the former wife of Dean Miller, Sr. Along with her parents, she is preceded in death by her brother, Jack McNitt. Nancy was a member of the First Presbyterian Church, New Brighton, where she served as an Elder and a Deacon. In addition, Nancy enjoyed knitting, which she learned from her sister. She enjoyed making Christmas stockings and dish cloths for family and friends. She was very involved in planning for her high school class reunions. Family and friends are invited to the Celebration of Life Service to be held on Sun, Sept 2 at 2 pm at the First Presbyterian Church, 1199 Third Avenue, New Brighton. In lieu of flowers, the family ask that memorial gifts be made to the First Presbyterian Church in memory of their mother. There will be a dinner held at the Lighthouse for the Blind, 720 Third Avenue, New Brighton, immediately following the service.